It's natural to have questions about hypnosis, its safety how to get the best out of the process and its long-term impact on your well-being. Here are the answers to some of the most common questions, which will help to enhance your understanding of hypnosis. However, feel free to get in touch with us if you have a question that isn't covered here - we're always happy to answer. Hypnosis involves entering a state of high suggestibility and deep relaxation - brain activity reduces and emotions become neutral, inducing a pleasant sense of calm. While you technically remain conscious throughout, you are focused on the voice and words of the therapist, blocking out distractions. At this time, the hypnotherapist makes suggestions that can help you rewrite limiting beliefs, make positive changes and achieve goals (e.g. smoking cessation, coping with chronic pain, increased self-confidence, weight loss, and a reduction in anxiety, to name but a few). In spite of the popular misconception that some people simply can't be hypnotized, the lightest form of hypnosis is achieved every day - you enter it when you're focused on an absorbing TV show, book or song, and when you're working on the computer. It's also the state you awaken into, and drift into just before you fall asleep - a light trance in which your focus narrows and you're more relaxed than normal. This is called the Alpha state, and you're approximately 200 times more receptive to suggestions than you are when you're fully conscious (i.e. in the Beta state). Research conducted at Stanford shows that an estimate 95% of people can be easily hypnotized. Are There Particularly Good Candidates For Hypnotherapy? People with all kinds of backgrounds and from all walks of life can be excellent candidates for hypnotherapy. All that is required is a genuine, sustained desire for change. Generally speaking, the more open-minded and less defensive you are, the better results you can expect to achieve. Do I Need to Take Medication To Be Hypnotized? You can enter a hypnotic state without taking any medications. If you're considering stopping the use of one of your currently prescribed drugs for any reason, speak to your doctor before making this change. Hypnotherapy appears to yield positive effects for almost everyone, so it's likely safe for you. The British Medical Association declared hypnosis as a viable form of therapy as far back as 1958, and both the American Psychiatric Association and the American Medical Association have approved hypnotherapy for use by professionals. However, seek advice from your doctor if you suffer from epilepsy or have been diagnosed with schizophrenia, as some experts question the appropriateness of hypnotherapy for patients in these groups. Is Hypnotherapy Also Safe For Children? Our hypnotherapy sessions recordings are also safe for children, though no one should never be pressured to use hypnotherapy and all children should be allowed to ask as many clarifying questions as they need to feel comfortable. Since children have had less time to build up elaborate defense mechanisms, their default suggestibility is higher and they tend to see quick, significant results from treatment. Will There Be Side Effects Of Hypnotherapy? Some hypnotherapy patients report increasingly vivid dreams, but there is currently no research suggesting serious adverse effects of hypnosis (with the exception of the aforementioned controversy around treating those with epilepsy or schizophrenia). How is Hypnotherapy Different From Daydreaming? The two states are qualitatively similar, but when you're hypnotized you or someone else actively guides you into the state. In addition, hypnotherapy revolves around setting goals and then receiving suggestions for positive change, while daydreaming is typically more directionless and accidental in nature. Should I Worry About Falling Asleep During A Hypnotherapy Session? Since you're so relaxed during hypnosis, it makes sense to wonder if you might fall asleep and miss out on the benefits of the session. However, the latest scientific studies show that the hearing is always alert and recording events-that's why you wake up the moment your baby cries or a delivery driver rings your bell. So, even if you fall "asleep" during hypnosis, your subconscious mind will still take in the relevant information. What if I Struggle To Relax During A Session? If you're worried about being too tense rather than two relaxed, you will need to find a way to address this so that your mind is appropriately receptive. Doing a deep breathing or mindfulness exercise just before hypnosis can be helpful, as can simply lying down and relaxing the body for a few minutes. And if you're being hypnotized at home, it's also important to find a space where you know you won't be disturbed or interrupted. Can Someone Be Too Smart to Be Hypnotized? On the contrary, research indicates that the smarter you are, the easier it is for you to be put into a hypnotic trance-in fact, there's some evidence to suggest that people with genius-level IQs are in the Alpha hypnotic state most of the time. That said, people of all intelligence levels are proven to benefit from hypnotherapy. Do I Need to Believe I Can Change? Some people (especially later in life) may have an underlying belief that they can't change because their traits are too deeply rooted. Thankfully, the subconscious mind is essentially ageless, and this is the part of you with which hypnosis engages. This means people of all ages can benefit from hypnotherapy. What If I'm Ambivalent About My Stated Goal? If you're conflicted about whether you want to, say, lose weight, stop drinking or combat anxiety, then you're less likely to get positive results from hypnotherapy. However, you may notice some changes, and these may be sufficient to get you fully on board with the program (so that you benefit more noticeably from future sessions). How Do I Know When I'm Hypnotized? Hypnotherapy clients often note that the experience is different from what they expected. The most common cues that you're being successfully hypnotized include a slowing respiratory rate, a drop in heart rate and a feeling of drowsiness. These are all normal responses, and some people even experience a sense of floating. Rest assured that you can't get stuck in a trance-even if you're one of the rare individuals who find they can't remember a hypnotherapy session after it finishes. Everyone comes back to consciousness at the end of the session, and most are still partially aware during the session (due to entering a light but suggestible Alpha hypnosis state). Will I Be Aware Of My Surroundings? While you can still tune into the details of your surroundings any time you want, these details will generally not be important to you when you are in a hypnotic trance (as you'll be concentrating on the received suggestions). If anything important happens around you, then your brain will force you to exit the trance immediately. Can My Free Will Or Bodily Control Be Taken Away? Theatrical stage hypnosis has led some people to believe that they can be hypnotized into doing things against their will, but this isn't true. You will always be able to bring yourself out of a hypnotic state, and your subconscious mind will reject any suggestion that isn't truly consummate with your deepest core values or goals. In other words, you will not do or believe anything that you would find unacceptable in your everyday waking life. Could I Say Something I Don't Mean To? You might be anxious that you could disclose personal information or betray someone else's confidence while in a hypnotic trance, given your open-minded state. However, we will not prompt you to say anything when listening to our sessions. If you have sessions in person, be sure to raise the concern about accidentally disclosures so that the therapist can ease your mind. Could I Re-experience Past Traumas? There are some types of hypnotherapy sessions that are specifically designed to take you back to past memories, or even into past lives. It is only when listening to these types of recordings that you are likely to re-experience the past, though this will not necessarily always be in a disturbing or distressing ways. Do I Need To Believe Hypnosis Works? If you deliberately resist hypnotherapy, it cannot help you (because you are always the one in control of whether you enter a trance or accept suggestions). If you want to believe in hypnosis but feel you’re prejudiced against it, reading about the concrete science behind hypnosis can help you to make sense of it and better invest in the process. Is Hypnotherapy Compatible With Other Types Of Therapy? While it's helpful to inform both your hypnotherapist and any other therapists about the overlap in your treatment plans, there's no principled reason why you can't have multiple therapies at once. In fact, this can be very helpful when working on connected issues (e.g. hypnosis might directly address the urge to smoke, while traditional therapy gets to the root of why you developing coping as a defense mechanism). However, when it comes to hypnosis, note that you should focus on one area of change at a time to see the quickest and most significant results. Can I Use Hypnotherapy Instead Of Seeing My Doctor? Hypnotherapy should complement other medical treatments, not replace them. Any time you plan to make a significant change in your life, you should always consult your medical doctor, and we encourage you to make your hypnotherapy plans transparent to your doctor as well. Are There Some Issues That Shouldn't Be Treated With Hypnotherapy? Hypnotherapy is broadly applicable and proven to be helpful in a wide range of cases-especially those that are psychosomatic (i.e. where the mind is causing problems in the body). Common examples include anxiety, insomnia, weight gain, and habits like smoking, eating unhealthy foods or biting the nails. On the other hand, problems that have purely physical causes (e.g. from damage to the brain or other organs) are likely better addressed by a medical doctor and may not be as effectively treated by hypnotherapy. The longevity of hypnotherapy results varies between individuals. Some people find that they never experience the same issues again once they complete their course of hypnotherapy sessions. In contrast, others may need to keep listening in order to keep the positive change going, though in such cases there is often a reduced need for session frequency (e.g. moving to weekly, monthly or even yearly sessions). Do I Need To Listen To Sessions On Headphones? Some people find hypnotherapy to be a more immersive experience when listening to the recordings via headphones, but this is a matter of personal preference. Unless you are listening in a public or semi-public place and want to preserve privacy, there's no need for you to use headphones. How Can I Get The Best Results When I Have Several Objectives? Most hypnotherapy clients report best results when they focus exclusively on one area of change for at least several weeks. This means you might want to consider putting your objectives in order of importance and then working through them in a linear way. If you have a strong preference for combining hypnosis recordings, just organize them into categories that make sense and divide your weekly hypnotherapy time between the recordings. Do I Have to Listen To Hypnotherapy Sessions At A Set Time Of Day? 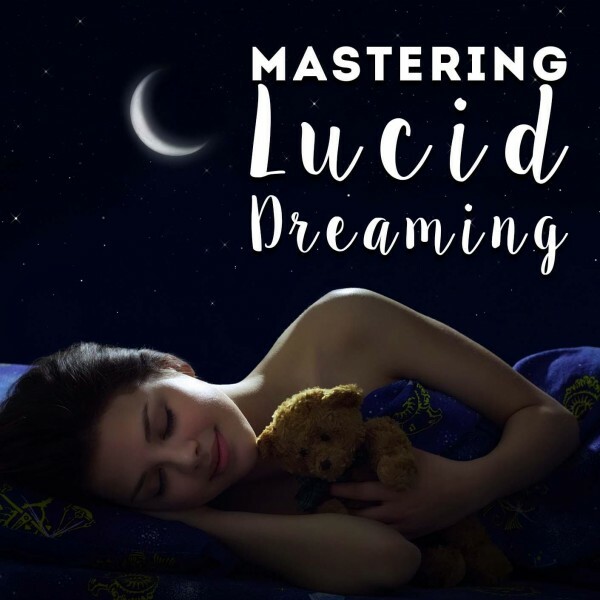 We recommend using our hypnotherapy recordings at night, as going to sleep after the sessions may feel most natural (and may help to improve your quality of sleep). Since there is no reason to believe night time use increases effectiveness, you can choose another time of day if you prefer-just make sure you set an alarm for the end of the session, to ensure you don't accidentally fall asleep after being in such a relaxed state. Be careful to set an alarm that brings you gently back to full consciousness, not something too loud or jarring. Can I Listen To The Sessions While Doing Something Else? You might be tempted to boost the day's productivity by doing your hypnotherapy sessions at the same time as other activities (such as housework or exercise), but the recordings are designed to be use when you are at rest and can fully focus on the offered suggestions. This is both safer and more powerful. There are different types of recordings you can use if you want to work on your subconscious beliefs while doing other activities. Can I Listen To The Sessions With Someone Else? Provided you are comfortable with the idea of sharing your hypnotherapy experience with someone else and you have their informed consent, there’s no reason why can’t be hypnotized at the same time as a friend, family member or partner. This can be a bonding experience for two people working to achieve the same goal. What If Someone Interrupts My Hypnotherapy Session? Even when you do your best to avoid interruptions, it's possible that someone will come into the room or the house and disrupt your session. If this happens, you can simply restart the session when the interruption is over, or you can attempt to repeat the process the next day if you feel you have lost the relaxed mood that's conducive to hypnotherapy. Where Should I Listen To The Sessions? Since the recordings are designed with nighttime use in mind, listening to them in bed is the most obvious choice. If you opt to listen during the day, pick a comfortable chair where your body can fully relaxed. It is also important that you never listen to hypnotherapy recordings when driving, as you may lose appropriate focus on the road. For a similar reason, it is advised that you avoid lighting candles for your session. While your mind is still aware of potential hazards during hypnosis, your reaction time may be reduced. Will I Remember Session Content? Some people remember more of a hypnotherapy session than others, but recordings have embedded suggestions encouraging your conscious mind to forget the content of the session. This is so your conscious mind has less of an opportunity to block or limit the growth of your subconscious. The results of hypnotherapy vary dramatically from person to person, with some reporting almost immediate transformations and others not noticing significant differences until several weeks have passed. The majority of people listening to daily recordings see positive change in 21 days, and a minority of people need to continue for longer in order to get results. What Are The Signs That Hypnotherapy Is Working? You will notice specific changes in the area (or areas) of your life targeted by hypnosis. These usually start small and then gradually evolve to complete change within the recommended number of sessions. For example, weight loss treatment may begin with reduced cravings for sweet foods, and end with a completely different approach to diet and exercise. What Is NLP Future Pacing? NLP Future Pacing is a specific form of Neuro-Linguistic Programing. NLP is a type of alternative therapy that influences the behavior of the brain by using language to "recode" your responses to certain external stimuli. This helps you cultivate new behaviors and make positive changes, so NLP is often combined with hypnosis. In the case of NLP Future Pacing, the focus is on taking your mind into the future so that you can explore what you'll do the next time you encounter triggers for your specific problem (e.g. common triggers might be social situations, cigarettes, or specific types of food). If you see the future scenario differently during the exercise, you know that something has changed on a fundamental level-and if it hasn't, you know you need to keep working at change for a while. NLP Future Pacing also helps you see the potential positive and negative consequences of changes you're making, assisting you in resetting your goals if necessary, and it increases your awareness of problematic triggers so that you can respond more quickly and efficiently. What Is NLP Analog Marking? NLP Analog Marking is another aspect of Neuro-linguistic programming that is helpfully combined with hypnosis. It involves using either a verbal or non-verbal cue to emphasize particular words in a sentence-words that bypass your conscious mind and go straight to your subconscious, where they can directly facilitate change. For example, during hypnosis, NLP Analog Marking might involve a sentence like this (where italics indicate verbal emphasis) "YOU... can enjoy an afternoon with friends who... ARE... understanding and caring... NOT... people who might be...ANXIOUS... to dominate the conversation." While your conscious mind simply hears a bland platitude, the subconscious mind will hear the embedded suggestion "You are not anxious", helping to address your goal of reducing anxiety.